J.R.R. Tolkien’s The Lord of the Rings trilogy is one of the best-loved book series in the world of fiction. And Harper Collins has just re-released a terrific hardcover collectors edition of the books. 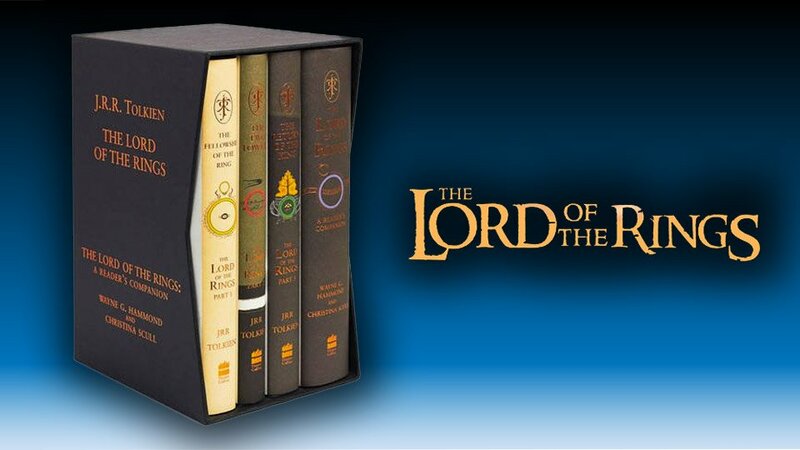 The three books in the trilogy are packaged with a fourth hardback volume, The Lord of the Rings: A Reader’s Companion. In 2005 Tolkien’s text was fully restored – with the full co-operation of Christopher Tolkien – with almost 400 corrections, the original red and black maps as fold-out sheets, a fully revised and enlarged index, and for the first time a special plate section containing the pages from the Book of Mazarbul, making this set as close as possible to the version that J.R.R. Tolkien intended. This Diamond Anniversary reissue of the prized boxed set marks 60 years since the first publication of The Fellowship of the Ring. These hardback editions feature Tolkien’s original unused dust-jacket designs from the 1950s, reworked for this edition, and some additional text corrections. The set is available for purchase now on Amazon UK. No word yet on when it might become available in the U.S., but you can just have it shipped across the Atlantic.